In the navigation bar, hover your mouse over the Fire category and click on Building Reports Login. This will open the login page for your inspection report(s). 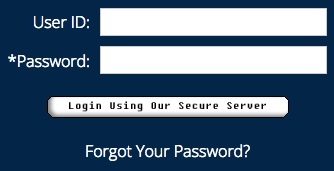 Enter the user ID and password supplied by your Guardian inspectors. If you have any questions about your login credentials, please contact Guardian Security at (800) 282-6998.
will bring up the Inspection Log search page. Select the tab at the top of the page that corresponds with the report type you are looking for. Type the name of the building in the field below the tabs and a list of matching buildings will automatically populate in the results list below. You can sort each column to help you find a specific building or report. a. E-mail the report to yourself as an attachment. b. Download the report in PDF format. To view the report online, click the name in the “Building Name” column to open in a new tab. When finished, click on the X to close the tab. any actions needed within your report. Red = Failed; discrepancies were found and have not been corrected. Further action is required. [Faded Color] = This is not the most recent inspection report for this building. From the welcome screen, select “Get Reports” from the top navigation. Expand the entry for the building using the + symbol in the far left column. To see the documents associated with that report, click the vertical Docs tab. To see the documents in each category, click the + symbol to expand the folder. To collapse, click the – symbol. While online viewing is quick and easy, you may wish to print your reports. 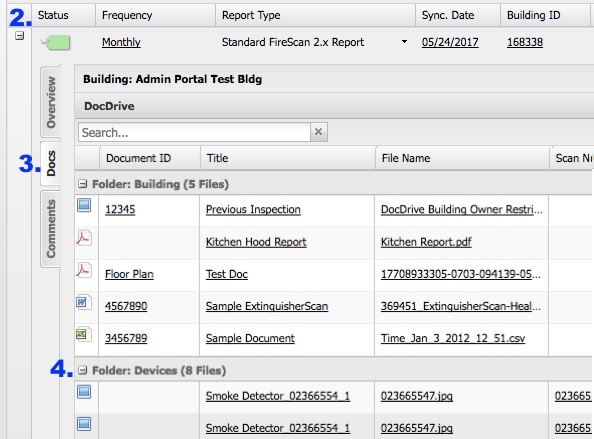 Click on the “Download this report” link found at the top of the inspection report and save the file to your computer. The downloaded file will be a properly formatted Word document that can be printed. located at the end of each section throughout the report. reports feature the same functions.